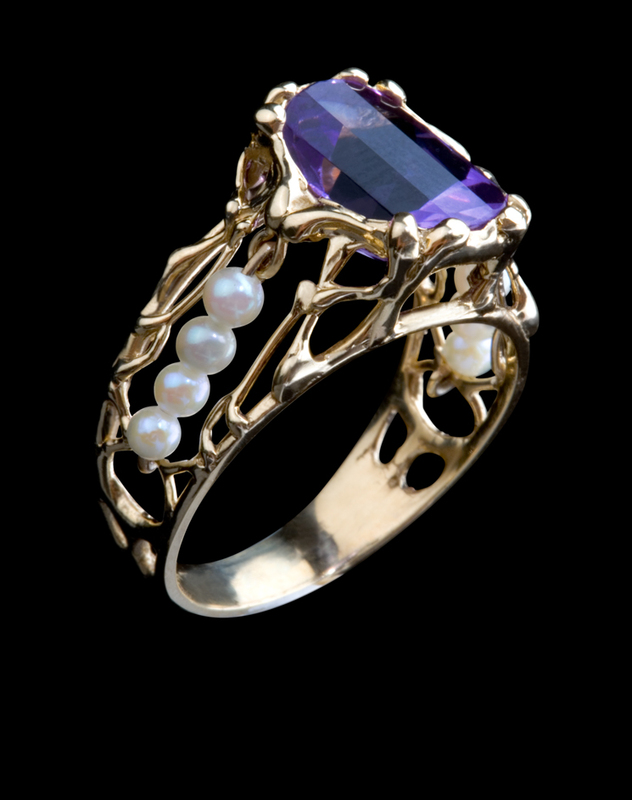 Organic filigree encompasses an unusual double cut Amethyst. The stone has an antique cushion cut and is 8 x 10mm. The top surface is curved and bar cut while the underside is multi-faceted. This combination provides for a wonderful play of color and light. Each side of this delicate ring features genuine seed pearls strung on gold wire.